It is the first ever WWE Monday Night Raw excluseve PPV event after the brand split. Earlier, Raw and SmackDown LIVE used to be together and there was only one event named Night of Champions. Below is the latest development in the match card. Check out all the predictions, rumors, and confirmed matches so far. Gear up fans as the event is nearing quickly. Let’s first go through the confirmed matches. Owens got the belt by defeating Seth Rollins, Roman Reigns, and Big Cass in a fatal four-way match at Raw on 29th August this year. However, Triple H helped him in winning. As a result, Reigns lost the chance to become number one contender to Universal Championship at CoC. Gallows and Anderson lost to New Day on August 29. However, they proved their mettle by defeating Xavier Woods and Kofi Kingston in their previous match. Sasha Banks in the triple threat match against Dana Brooke and Bayley. Thus, she became the number 1 contender for the title match. Earlier, it was in the rumors that Chris Jericho will have a match against Roman Reigns. But, WWE officially announced the fight against Sami Zayn. Below are some of the rumored matches for WWE Clash of Champions 2016 Match Card so far. Let’s have a look. Sheamus and Cesaro have already completed their five matches of the best of 7 series. 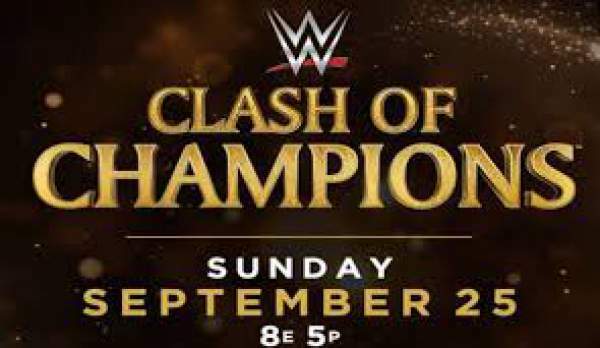 Now, it is speculated that their sixth fight will take place at Clash of Champions. Cesaro has won three matches while Sheamus was victorious in only two. Rusev marked his return on the last episode of Raw. He came back after a month. Speculations started fuelling the match when US champion attacked Reigns last Raw. Next articleKumkum Bhagya 19th September 2016 Episode: Alia framed Pragya in fake molestation charges; Abhi to support Pragya?